See God for Who He Is, Not What You Think He Ought To BeAnyone who has tried to describe God to someone else, especially an unbeliever, knows that it is easy to find yourself at a loss for words. It seems that this part of our lives, which we claim is central, is often difficult to put into words.... read more But if you know God, shouldn't you be able to describe him? What is he like? How can we put his eternal attributes into words?Join Chip Ingram in this fascinating study of seven attributes of God: his goodness, sovereignty, holiness, wisdom, justice, love, and faithfulness. 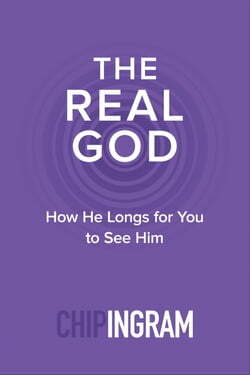 Readers will see God in a whole new light and discover that our view of God impacts every decision in our lives. It will change the way we pray, the way we live, and the way we think about the world around us.God longs for us to know him as he really is. Get ready to meet God again for the first time.